A Seattle man who has spent 15 years studying and preserving the history of Japanese-American internment in World War II said he sees the same climate of fear and hate now following Donald Trump’s campaign. On March 30, 1942, a few months after the attack on Pearl Harbor, more than 270 Japanese Americans on Bainbridge Island were made to leave their homes, allowed to bring only what they could carry in their hands. They were the first people in the country to begin the forced journey to internment camps. Nearly 13,000 Washingtonians of Japanese ancestry, including almost 7,000 in Seattle, would be removed from their homes, most sent to a temporary “assembly center” in Puyallup, and then to an internment camp in Idaho for the duration of World War II. Only about 60 percent of those forced to leave Seattle ever returned, the rest settling elsewhere after the war. The election of Donald Trump has renewed fears that what’s seen as one of the gravest mistakes in American history — the forced wartime internment of an ethnic minority — could repeat itself. Several days ago, a Kansas official who says he’s advising Trump’s transition team said team members are discussing ideas to reinstate a registry for immigrants from Muslim countries, and the former spokesman for a pro-Trump super PAC cited Japanese-American internment camps as “precedent” for a registry. 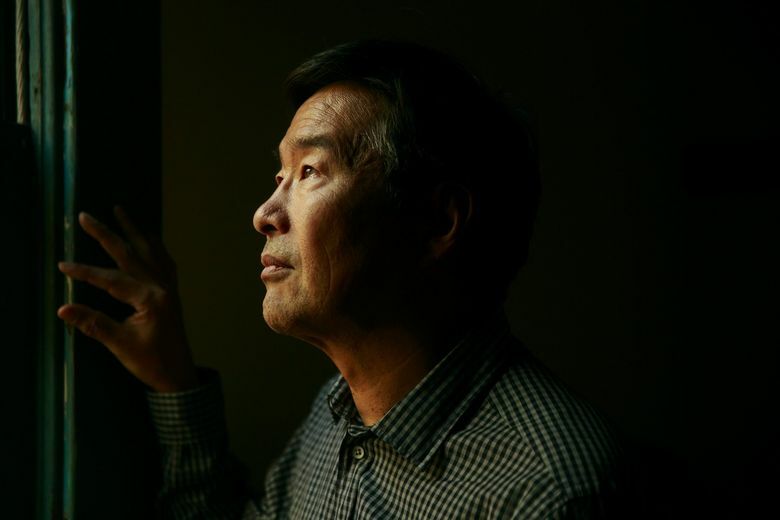 Tom Ikeda’s parents and grandparents were among the Seattleites who were held for nearly three years in the camp in Idaho. His grandparents were born in the United States. His father fought in World War II. 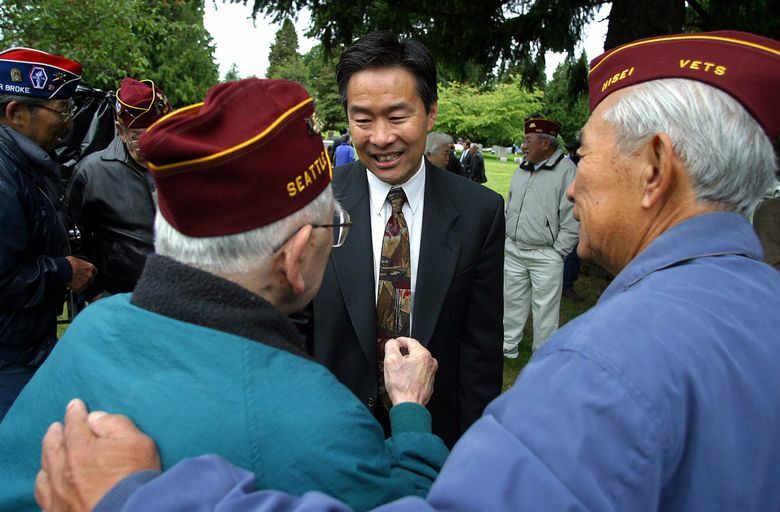 His uncle died in World War II, part of the 442nd Regimental Combat Team, a highly decorated U.S. Army unit composed almost entirely of Japanese Americans. Ikeda has spent the last 15 years studying and preserving the history of Japanese-American internment. He’s the founding director of Densho, a Seattle-based oral-history project that has videotaped more than 1,600 hours of testimony from hundreds of Japanese Americans who were incarcerated during World War II. Ikeda says he’s struggling with how to react to Trump’s election, and the potential by his supporters of creating a national registry of immigrants from countries with active terrorist groups. On the one hand, there’s been no policy change — no laws, no executive orders — and Trump’s proposals can be fluctuating and vague. But, he says, the fear and the hate, the inflammatory rhetoric, that was present during World War II is here today, fed by Trump’s speeches and reflected back by enthusiastic crowds. About 110,000 Japanese Americans were eventually removed and incarcerated as a result of an executive order from President Franklin Roosevelt, one of America’s most progressive presidents. Roosevelt’s order was upheld by the U.S. Supreme Court, in a decision that has since been roundly denounced, but never explicitly overruled. The U.S. formally apologized for the internment camps in 1988, and offered a $20,000 reparation to all surviving victims. The concept may seem outlandish — this couldn’t happen in America in 2016, right? But Trump has gone out of his way to avoid ruling such things out. He famously called for a complete ban on Muslims entering the United States, before transitioning to a call for “extreme vetting” of certain immigrants. He defended his proposed Muslim ban by comparing it to Roosevelt’s wartime executive orders, which began with “alien registration” before segueing into internment. Last year, Trump declined to say whether he would have opposed internment during World War II, saying he would have had to be there at the time. Last Wednesday, the former spokesman for a pro-Trump super PAC cited Japanese-American internment as a “precedent” for a potential registry of immigrants. Last year, about a month before his comments on internment camps, Trump was asked about a database system tracking Muslims in the United States. Twice since Trump’s election, Densho, the history project that Ikeda leads, wrote on its website calling for the lessons of Japanese-American internment to be applied to contemporary issues such as Islamophobia. Ikeda doesn’t want to overreact, but he also wants to take seriously the words of Trump and his advisers.